We’d love your help. 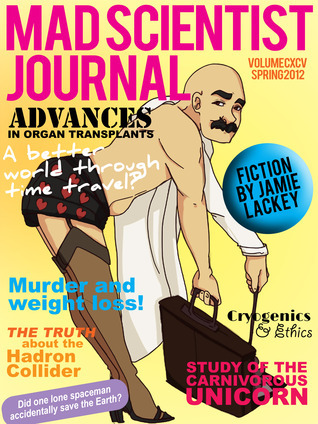 Let us know what’s wrong with this preview of Mad Scientist Journal by Jeremy Zimmerman. To ask other readers questions about Mad Scientist Journal, please sign up. How can you go wrong with Mad Science? Seriously. 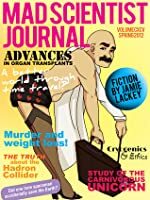 This issue of the MSJ, my first, contained some imaginative stories in a variety of styles, ending on a series of clever and amusing fictional classified 'mad science' ads. Personally, I often find short fiction unsatisfying, as it can be hard to select an amount of story to fit shorter works and still give you the full story-ride experience. While this was the case with some of the stories in here (which to me ranged from 1-4 stars), the creativi How can you go wrong with Mad Science? Seriously. Personally, I often find short fiction unsatisfying, as it can be hard to select an amount of story to fit shorter works and still give you the full story-ride experience. While this was the case with some of the stories in here (which to me ranged from 1-4 stars), the creativity and imagination that went into them – along with enjoyable doses of humor – left me entertained overall. My favorites were the 'Ghosts of Ganymede' (4 stars), 'Therium 99' (4 stars) and 'The Exploded Manifestations of Ari Ascher' (4.5 stars). I look forward to reading the Mad Scientist journal because it full of such silliness in such academic prose that it puts my whole life into perspective.